Help support the comic here! 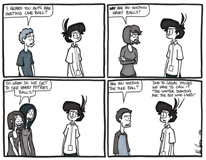 Extra drawings and comics, giraffe doodles, and early access to comics! 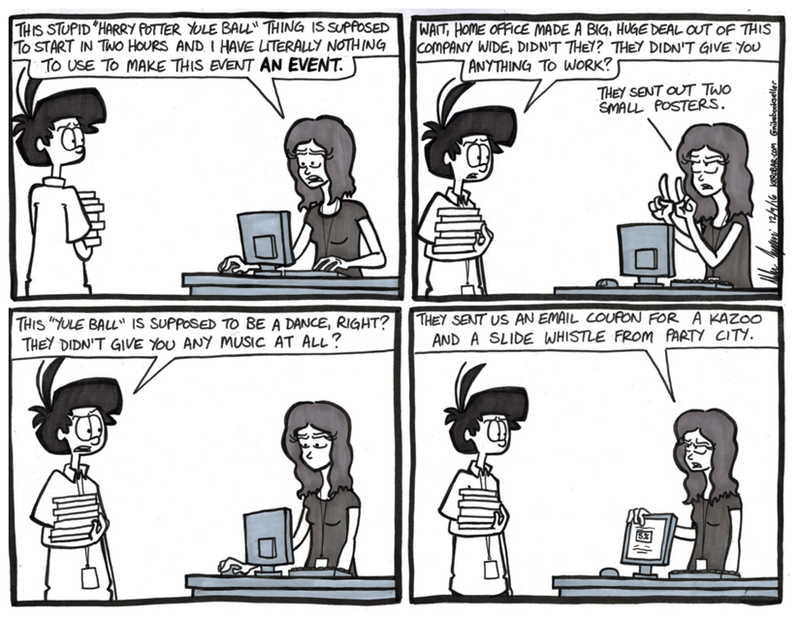 So, that Yule Ball thing, eh? I like how little was prepared for this thing. We got next to nothing for hand outs, and we’re expected to do all the heavy lifting ourselves. Find a DJ or band, find the small amount of space that hasn’t been used for displays and shelving to be used for people to dance in, and handle snacks and drinks. The Yule Ball is a fun idea. There just didn’t seem to be any ideas behind it to make the thing work. I think this will be a huge let down for most and a complete bust for the company. Remember that Frozen day that happened a year or two ago? Remember how painfully embarrassing that was? This event is going to drudge up all of those shameful pictures and posts again. All my patrons get to see this extra comic on my Patreon page! Check it out!